Visit one of UNESCO’s World Heritage sites from the comfort of a well-equipped passenger boat and take back home a treasure trove of memories of an unforgettable trip. Experience a different world altogether, far away from the mainland, encompassing natural rock formations, monastery, hermitage, and lighthouses, of historic and cultural relevance. Let our Skellig Michael boat trips offer you a spectacular view of the mesmerizing islands, rich in biodiversity and home to sites of cultural importance. The twin crags of Skellig Michael Islands appears in the horizon, shortly after the Skellig Michael Boat Trips start off from Portmagee Village. The natural formation of the islands could date back to at least 300 million years ago in the prehistoric period. 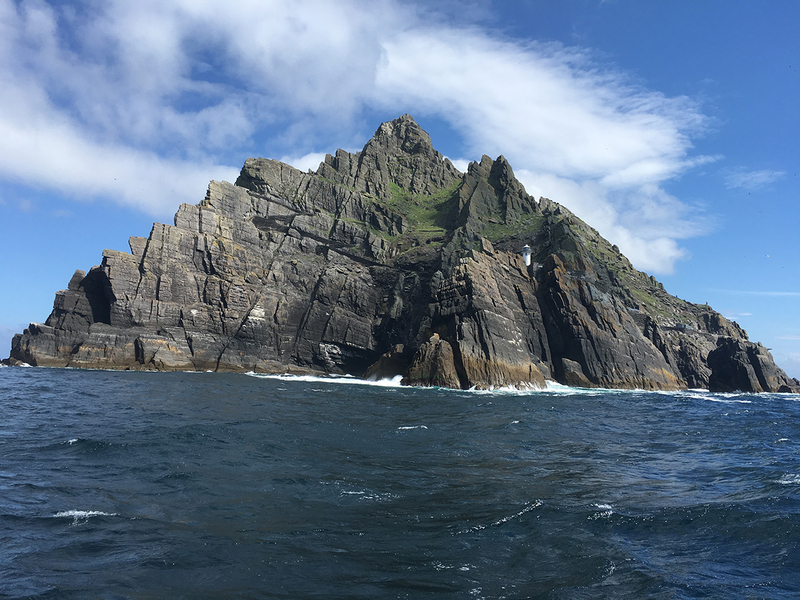 The islands can be divided into two portions— The Great Skellig Michael & Little Skellig. 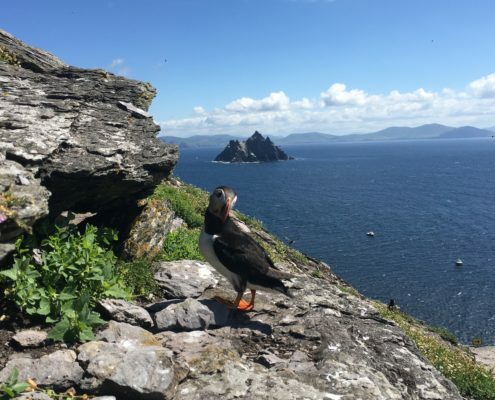 The Skellig Michael landing tour is not permitted on the Little Skellig island, while the Great Skellig Michael, with its easily noticeable twin peaks, is among Europe’s most ancient and sacred places. It used to be home to a group of Gaelic monks in the 6th century. The monks had built the Skellig Monastery to mark as the finishing line of an ancient pilgrimage going through France, Italy, Greece and Palestine — The St. Michael Axis. The monastic settlement is also highly regarded for its architectural genius, exemplified by the beehive huts and the 3 steps and pathways, with over 600 stairs leading up to the monastery— all still in brilliant condition to this day. Apart from the historical importance of the site, the island also has a rich biodiversity and is home to one of the world’s largest colonies of Northern Gannets. Other fauna includes seabird species like puffins and razorbills and marine animals including a thriving population of grey seals. Earlier known as just Skellig, which in Gaelic means “splinter of stone” the site, especially the twin crags was later named after the Archangel Michael, as a dedication. It got the status of UNESCO World Heritage Site in 1996. It was recently the filming location for the movie Star Wars: The Force Awakens in 2015. Skellig Star is an accommodating boat of ours. It is definitely a true charmer! 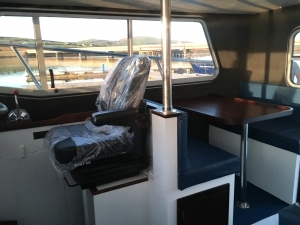 Built to take you around the Skellig Islands, it’s a 40ft Lochin running on twin engines, promising a smooth and safe sail, all the way to the Skellig Michael and Little Skellig islands. Its specialty lies in accessibility, presenting you breathtaking sights you wouldn’t have had access to by land. 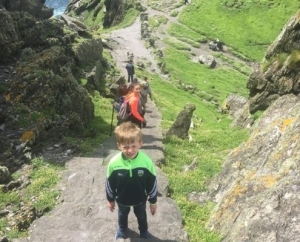 Rest assured by taking the Skellig Michael landing tour the Skellig Star is well capable of bringing you as close as possible to the island and landing you safely. Our Skellig Star is well-equipped with life jackets and waterproof gear for our passengers. While safety is mandatory for every passenger as we value lives more than anything, the latter is optional and intended to keep you dry even during the heaviest downpour. Accommodating a maximum of 12 passengers at once, our boat is spacious, with cabin seating offering marvelous views of the Skellig Islands. Purposely designed with the seating arrangement inside the cabin, it ensures shelter from harsh weather conditions without compromising on passenger comfort. Among its other state of the art facilities, there’s a toilet on-board. 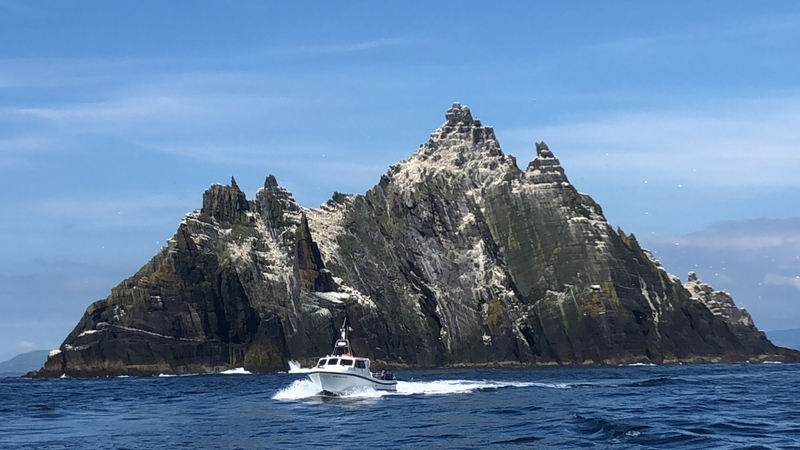 All in all, it’s a true star, completely insured and licensed, encompassing advanced facilities so that you enjoy a leisurely Skellig Michael boat trip. Book Your Skellig Michael Tour Early In Advance. You Can Book Online, Or Give Us A Call at 00353 87 617 8114 for guidance. 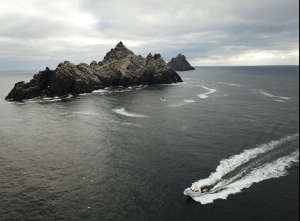 From where does Skellig Michael Tours depart? Portmagee situated in County Kerry is the exact location from where our boats depart. For further information, kindly refer to our Contact Us page. 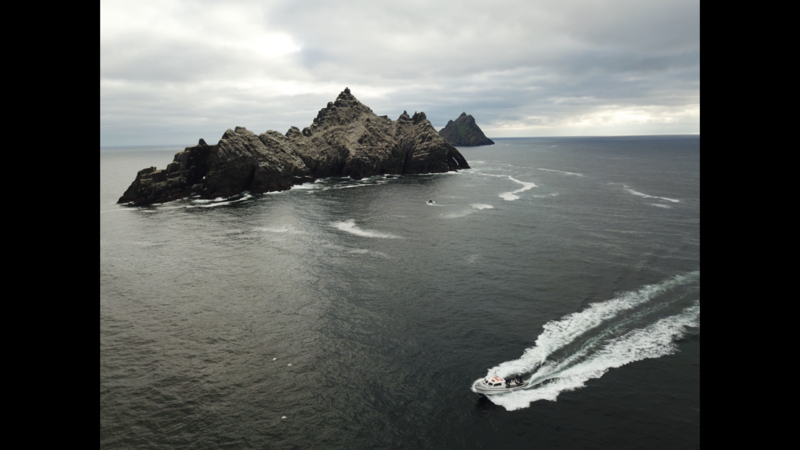 Is it necessary for an enthusiastic passenger to book in advance for Skellig tours? We don’t want to disappoint you. Therefore, our advice would be to book in advance to avoid the rush during the peak season. Can I cancel my bookings during adverse weather/sea conditions? Skellig Island tours are entirely weather-dependent. We would ourselves cancel it if adverse weather conditions persist and refund your money. To get a better insight, kindly refer to our Cancellation Policy. How can I identify the Skellig Star? Please make a call to our booking office once you reach the vicinity. One of our staff members will assist you to Skellig Star. How would advise on clothing & shoes for a boat ride to the Skellig Islands? Our advice to you would be to put on warm comfortable clothes. We have waterproof gears ready on-board.